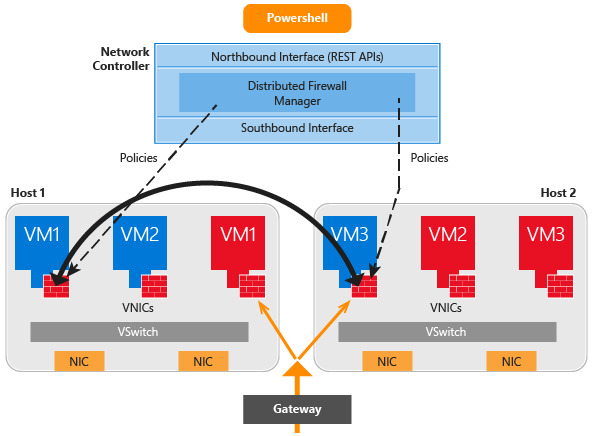 Datacenter Firewall is a new service included with Windows Server® 2016 Technical Preview. It is a network layer, 5-tuple (protocol, source and destination port numbers, source and destination IP addresses), stateful, multitenant firewall. When deployed and offered as a service by the service provider, tenant administrators can install and configure firewall policies to help protect their virtual networks from unwanted traffic originating from Internet and intranet networks.